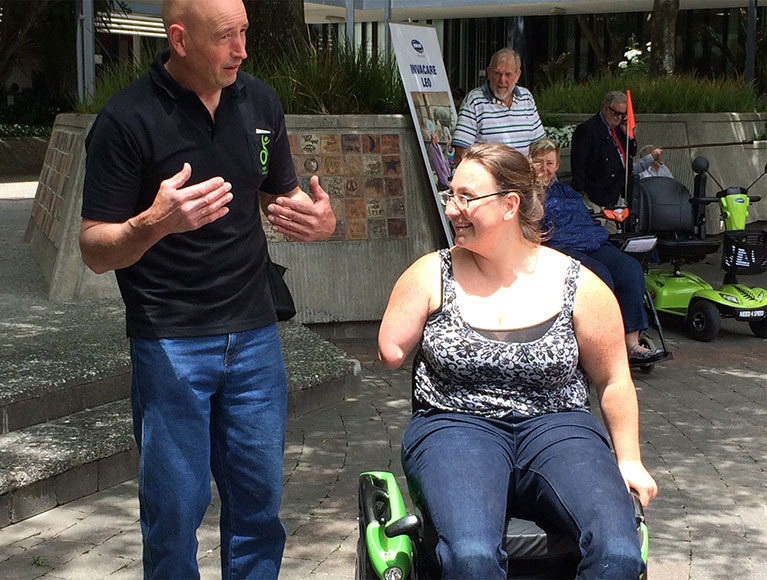 People who make use of traditional wheelchairs are daily confronted with a number of issues. Moving while constantly looking down to avoid the small front wheels sinking into the frequent holes and always having both hands busy (often getting dirty) can lead to frustration. Not to mention the problem of the rain, which compels wheelchair users to get wet because of the impossibility of holding a simple umbrella? Also dealing with slippery grounds, little steps or little slopes can entail considerable risks. 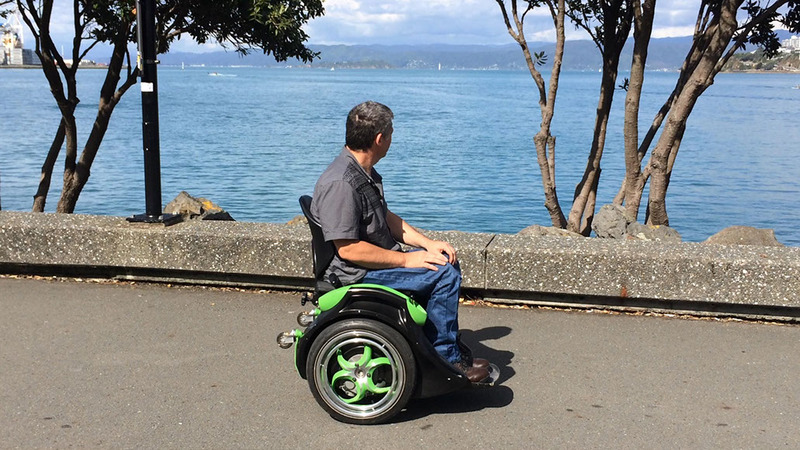 Ogo immediately solves all these issues as it’s a self-balanced 2-wheeled completely hands-free mobility device which could help many disabled persons around the world. Lead by Kevin, team Ogo is a small, talented group of people, dedicated to Ogo's vision. The Ogo is award-winning, technology and demand for it is growing every day. It was originally developed around Marcus’ needs. Kevin and Marcus met when Marcus was teaching Kevin’s daughters at Otaki College. They found that they both shared love of field archery, and it was over this common passion that their friendship really grew. Their local Kapiti Club offers a particularly unique experience, incorporating native bush and forest areas as well as open grassland. Kevin observed Marcus,a paraplegic of 12 years, struggling through the rough terrain in his conventional wheelchair exhausting his energy and stamina. Just wanting to make it easier for Marcus, Kevin, an engineering pattern maker by trade, set himself a challenge; to revolutionize personal transportation by producing mobility with freedom of movement! … journey started for the Innovative product Ogo…! The unique feature of the Ogo is the active moving seat control system, which makes it very intuitive to use - completely hands free! 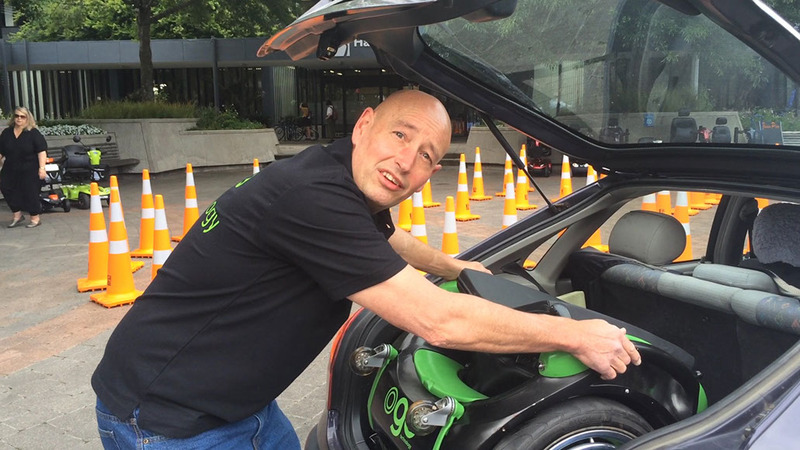 Based on well proven self-balancing technology and a lot of kiwi ingenuity, they have created something new and exciting. The user is able to move by simply leaning in the direction they want to travel. When you are in the Ogo you are using your core muscles to move, turn and stay in balance. 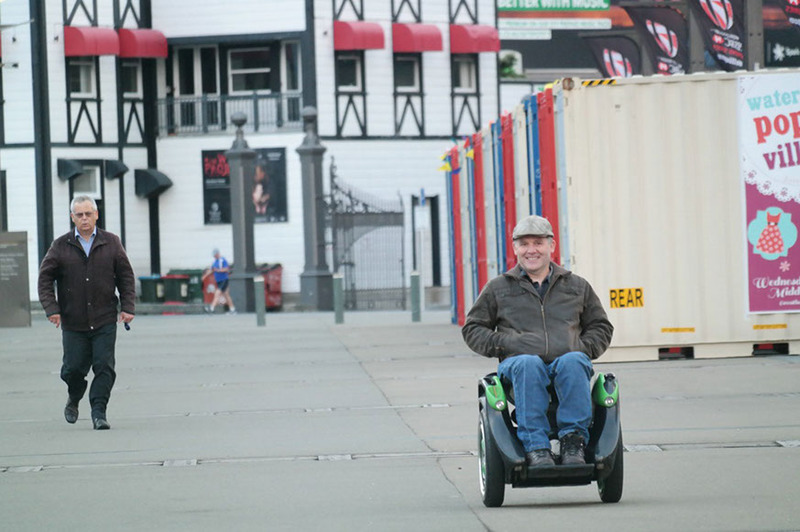 The Ogo has a unique active-seat control, and works by the operator leaning in the direction they want to travel. If you lean forward, the Ogo will move forward; if you lean back, the Ogo will move back; if you lean to one side the Ogo will turn in that direction. At times when you don’t want the seat steering, there is a small thumb controlled joystick option that can be mounted on the left or right side. By changing to our all-terrain wheels, the Ogo becomes an off road monster that can go just about anywhere. Able to tackle soft sand, gravel, rough terrain and inclines, the Ogo is smaller, lighter and faster than most other powered mobility devices. 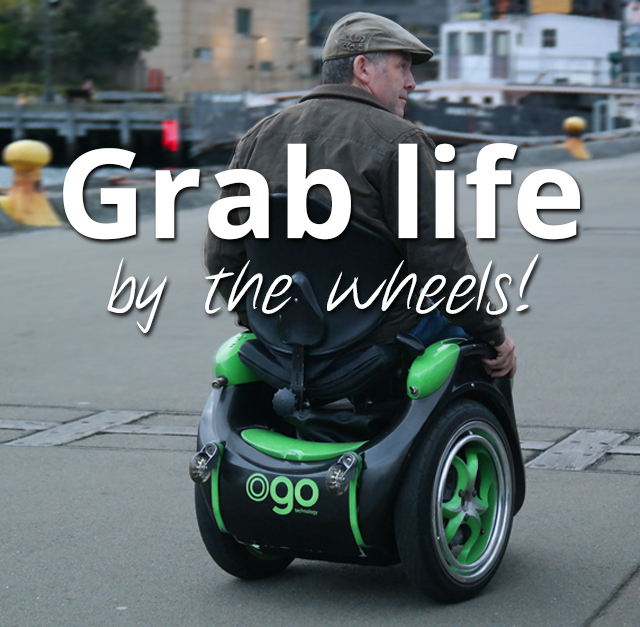 Look forward to experiencing the freedom and exhilaration the Ogo can offer as the Ogo team takes personal transportation to a whole new level! Paraplegics, quadriplegics, quad amputees and people with many other disabilities have been able to use the Ogo effectively. 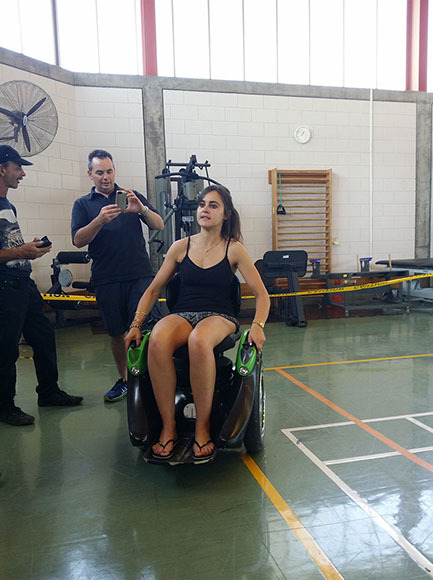 Until now, the Ogo has been developed for lower-level spinal injuries. However during the last 5 months of testing with varying levels of disabilities they’ve realized with a few design adjustments, it can help many, many others. So by fundraising for the new prototypes they can confirm that they have the ultimate machine before they go into production later in the year. The new prototypes will have push button controls for ease of starting up and powering down, as well as automatic shut down if the rider gets off the seat. The five testing prototypes will be tested in the main centres of New Zealand. There, they will be available for people to try out and test which give them a valuable feedback. The self-balancing system force to maintain a constant and very subtle control of the center of gravity. Therefore it requires a continuous activation of the postural muscles of the torso which must quickly respond to external and internal variations. This offers some benefits: it provides for the ability to control and maintain a good posture of the torso in a seated position, encouraging the recovery of the physiological lumbar lordosis. It also provides the unaware patient with real exercise of postural biofeedback.